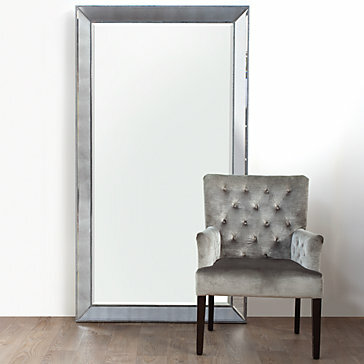 Our Omni Leaner Mirror places a modern spin on classic style. This mirror is edgy with its unique mirrored frame that reflects light in a variety of directions, gracing your wall with a playful aesthetic. The sharp angled edges and silver beaded trim give the mirror depth and sophistication. Also available as a wall mirror in several sizes. 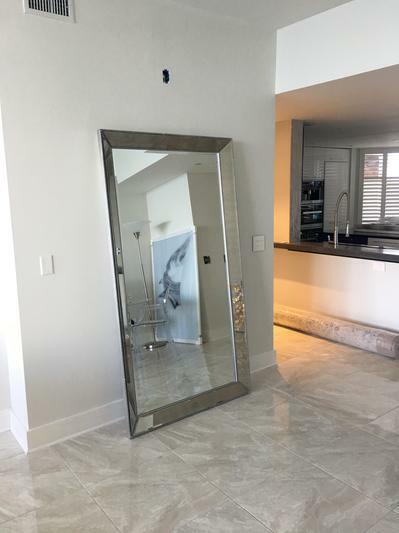 [value] => Love this large leaner mirror. It’s the second one I’ve purchased. Great look! [value] => Beautiful piece that stands out. Great quality. [value] => This Mirror is truly beautiful. It does come with mounting hardware. It's large and modern. Not too heavy and very good quality. [value] => This is just the most beautiful thing in my whole apartment. Thank you so much for this amazing and beautiful Mirror. Love this large leaner mirror. It’s the second one I’ve purchased. Great look! Beautiful piece that stands out. Great quality. This Mirror is truly beautiful. It does come with mounting hardware. It's large and modern. Not too heavy and very good quality. This is just the most beautiful thing in my whole apartment. Thank you so much for this amazing and beautiful Mirror.